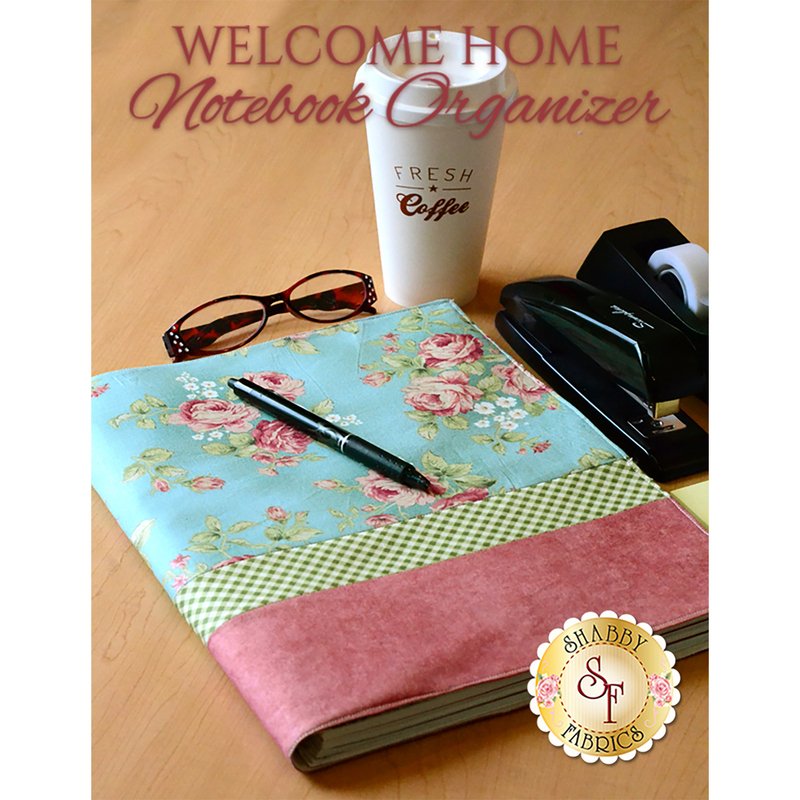 The Welcome Home Notebook Organizer is so charming and incredibly useful, you will wonder what you ever did without it! 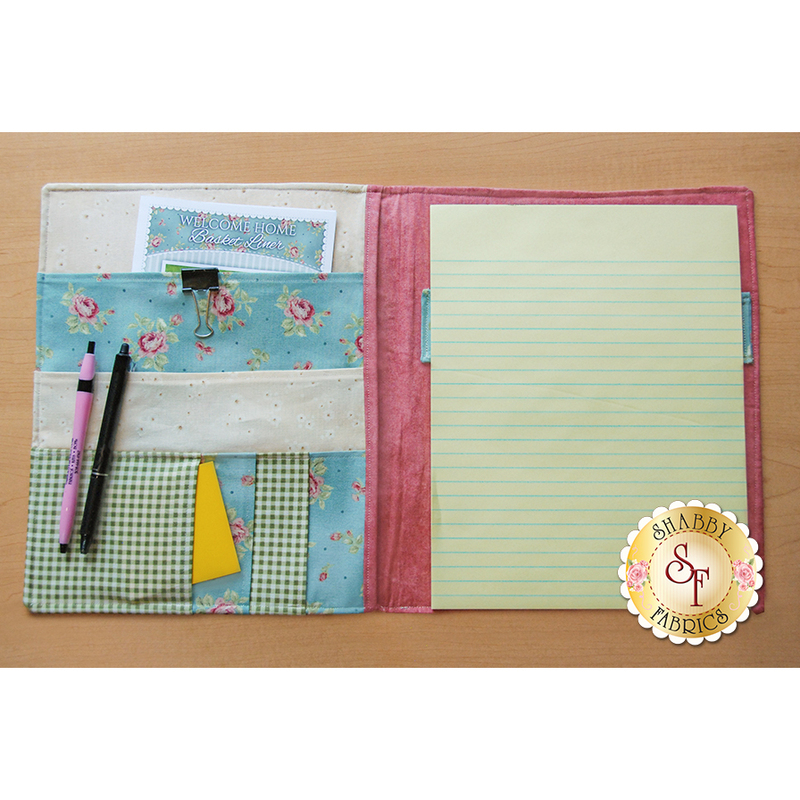 Features 6 easy-to-access pockets to organize all your supplies and a notebook strap that fits a US Letter size notebook. This can be customized and would be a great gift for a friend or loved one! Finished size is 12" x 20" (open) and 12" x 10" (closed). 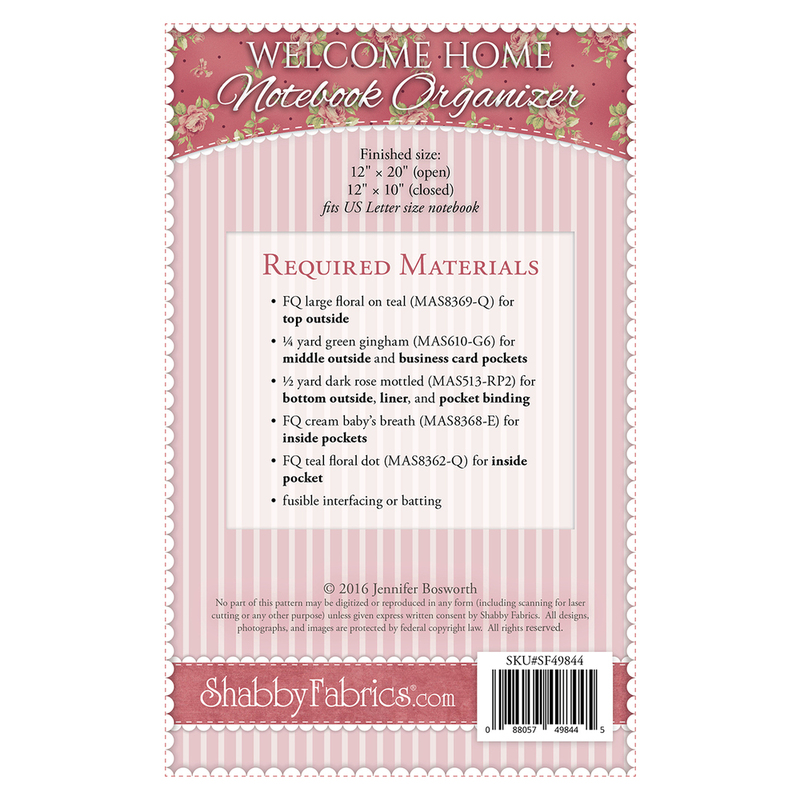 The fabrics we used are from the Welcome Home Collection One.